Austin 360 Roofing Earns Certification with Farmers First Choice Program | 360 Roofing, LLC. 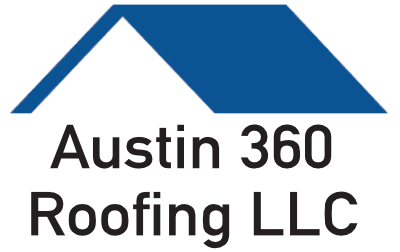 (AUSTIN, TX – March 27, 2010) Austin 360 Roofing has achieved status as a certified roofing contractor with the First Choice Repair Program. As a First Choice Repair Roofing Contractor, the central Texas-based company meets the highest standards for repairing wind or hail related roof, siding and gutter damage. Austin 360 Roofing customers are now backed by the industry leading First Choice Iron Clad Warranty. First Choice Repair is endorsed by major insurance companies as a standard solution for performing timely repairs of roofs damaged by strong winds or hail during storms. The program consists of a nationwide network of expert roofing contractors assigned by First Choice to fulfill individual claims. As a First Choice Repair contractor, Austin 360 Roofing will conduct the entire process of its customers’ roofing claims, including assessment, estimate, and repairs. Austin 360 Roofing will also work with First Choice Repair and the customer’s insurance company to ensure that insurance claims are accurate and comprehensive. Once the repairs are complete, Austin 360 Roofing customers will be eligible for the First Choice Iron Clad Warranty. This is the strongest warranty in the industry, guaranteed for five years, rather than the standard three years warranty offered by most roofing companies. For more Information on the First Choice Repair Program see www.firstchoicerepair.com. Austin 360 Roofing is a full-service Texas roofing company specializing in commercial structures – including office buildings, apartment complexes, and industrial parks – as well as residential houses. The company provides expert craftsmanship on flat roofs, metal roofs, asphalt shingles, and tile roofs, and also offers green roofing solutions that help increase energy efficiency. Additionally, Austin 360 Roofing is an insurance claim specialist that manages all aspects of insurance assessments and negotiations for roof repair due to hail, rain, lightning, wind, and fire damage. The company is locally owned and operated in Austin, TX, but serves the entire Central Texas area, as well as Dallas and Houston. For more information see www.austin360roofing.com.